A selection of Slicker accessories for use in imaging rooms is available. 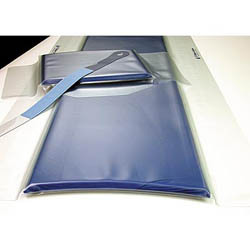 Items include foot switch covers, restraint belts, catheter bag hangers, and more. Sterile Drape for Siemens Intervention Panel, 10 drapes per box. Canon 37" Black Catheter Bag Holder Assembly - held between pad and table 37"